We’ve heard this phrase a lot: “There is no “I” in a team. While true in a variety of ways, teams that step up after a key injury reinforce this phrase all the more. Over two weeks ago, Sophomore tailback Robert Briggs ( 106 yards per game rushing with 5 TDs in only 3 games) went down with a high ankle sprain. Because fullback Kavieon Cox is also so effective on defense, Head Coach Ricky Irby decided this week to bring a tailback up from Junior Varsity. Blending three other runners into the mix, Cox could still be called on moderately, but without unnecessarily disrupting his effectiveness on defense. First Juniors Anthony Hale and Ke’suan Prosise took turns at tailback, and then the Freshman just moved up from the JV, Ketwan Taylor stepped in. Together with the occasional bursts from Cox at fullback, the Blue Devils could keep the Colonials off balance on the ground and in the air. 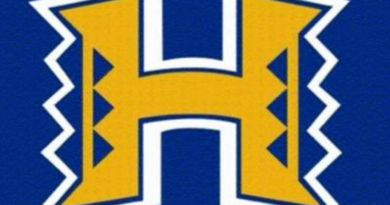 Team Hopewell ignited things not two minutes into the game when Quarterback Daniel Greer located Sean Allen for a 20-yard touchdown pass, and although the extra point was blocked, it was indicative of how powerful the Hopewell offense would be in the first half. As they were on their way to a 42-0 halftime lead, the defense retained its stinginess seen earlier in the year as they later completed their third shutout of the season. There will be those who will say that it was just Colonial Heights, not known for their football prowess. However, Hopewell did what they needed to do, and that was to not let up. Last week winless Matoaca almost stole a victory, and while the Warriors are far better than their record suggests, Hopewell kept their weekly high bar intact. Their team chemistry involves a great balance that mixes many outstanding individual performances. Sophomore Wide Receiver Trey Henderson would catch 3 passes for 34 yards and a 10-yard touchdown pass, Senior Demonye Taylor caught another of Greer’s passes from 17 yards out for a touchdown after a spectacular catch and run from Senior Kadarius Singleton of 63 yards the play before. Allen added a second touchdown on a reverse from 43 yards out and had a third touchdown run called back because of penalty. 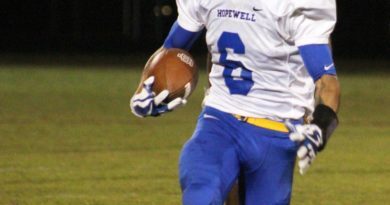 (The amount of Hopewell penalties proved to be the only Achilles Heel for the Blue Devils.) While Cox powered into the end zone for Hopewell’s first rushing touchdown from 3 yards out as the first quarter ended, backup tailback Prosise finished the night’s scoring with the only second-half touchdown from 5 yards out. Defensively the Blue Devils were inspired by the play of Keyon Williams, Reggie Ruffin, and Travonte Jones. Jones was credited with 8 tackles, two sacks, and took an interception 46 yards for a touchdown. With the 42-0 halftime lead, Coach Irby had the luxury of playing second and third string players in the second half. While he first sprinkled in a few to play alongside some of the starters, he later went to 100% subs the rest of the way. That’s valuable experience and a great way to build for the future! 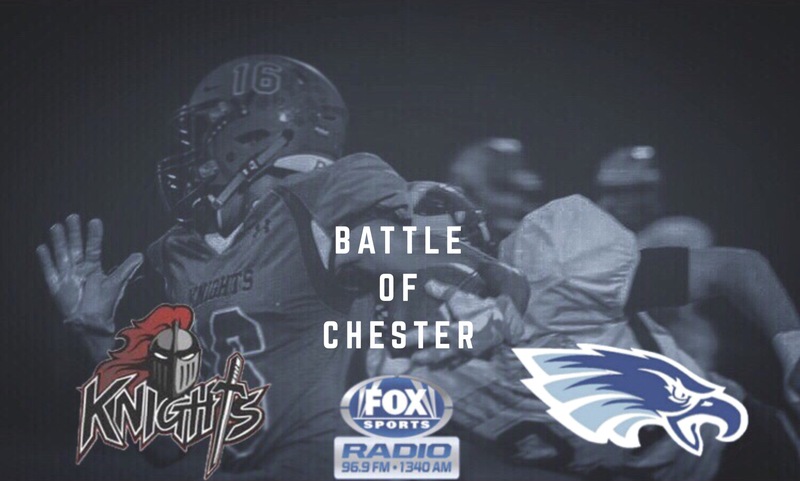 Next week’s homecoming game against Prince George will most likely be a battle only between each team’s best. Hopewell though moves into this week knowing they have a group of talented individuals complementing each other in their individual performances, with others able to step in the gap at moments notice to help the team achieve even greater performance. The Bible describes the human body that depends upon the balance of the eye, ear, arms, legs, fingers etc working together for effective rhythm. Hopewell football portrays that same rhythm between coaches, starters, reserves, trainers, and even the support of the student body and other fans that together help equip this team for quite the influence in our community. Tonight, Coach Irby will talk Hopewell football as fans gather for dinner at Simply Unique, 230 S. 15th Ave. here in Hopewell. We hope you can join us at 6:30 PM, or listen to WHAP AM 1340. Jeff Butler is the Pastor of Woodlawn Presbyterian Church in Hopewell and is the Play by Play Voice for the Hopewell Blue Devils over WHAP Radio 1340AM and 96.9 FM. The game can also be heard online at www.foxsports1340am.com or a cell phone at 605-313-0571.